Rowman & Littlefield Publishers, 9781442250338, 300pp. Book Award of the Parapsychological Association, 2017 Winner of the Eric Hoffer Book Awards 2017 (Spiritual) First Place, Nautilus Book Awards 2017 (Science, Cosmology and Expanding Consciousness) First Place, International Excellence Mind, Body Spirit Book Awards, 2017 (Human Consciousness) Bronze Medal, Feathered Quill Book Awards, 2017 (Best Religious/Spiritual) First Place, Great Northwest Book Festival, 2017 (Spiritual Books) First Place, New England Book Festival, 2016 (Spiritual Books) As a neuroscientist, Marjorie Woollacott had no doubts that the brain was a purely physical entity controlled by chemicals and electrical pulses. When she experimented with meditation for the first time, however, her entire world changed. Woollacott's journey through years of meditation has made her question the reality she built her career upon and has forced her to ask what human consciousness really is. 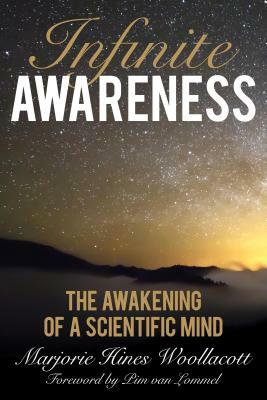 Infinite Awareness pairs Woollacott's research as a neuroscientist with her self-revelations about the mind's spiritual power. Between the scientific and spiritual worlds, she breaks open the definition of human consciousness to investigate the existence of a non-physical and infinitely powerful mind. Marjorie Hines Woollacott, PhD, has been a neuroscience professor at the University of Oregon for more than three decades and a meditator for almost four. Her research has been funded by the National Institutes of Health and the National Science Foundation, and she coauthored a popular textbook for health professionals and has written more than 180 peer-reviewed research articles--several of which were on meditation, the topic that motivated her to write Infinite Awareness.